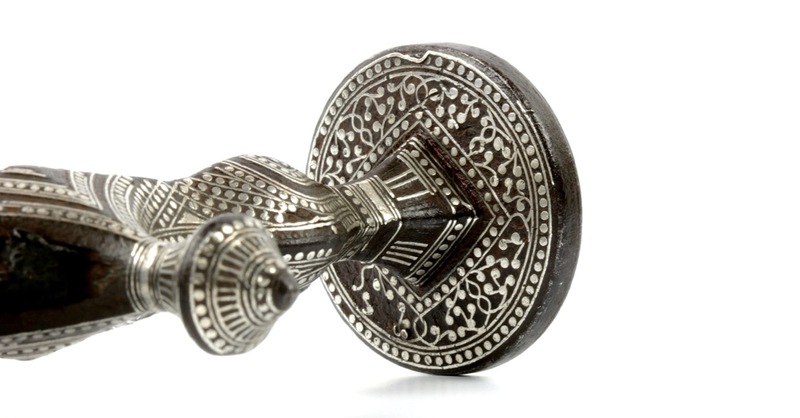 Materials: Iron, steel, silver, brass. 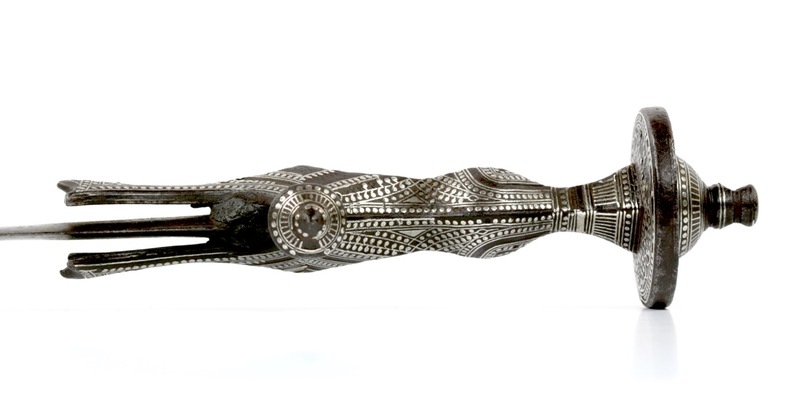 A very rare example of an Indian sword of the Malabar coast, called kayamkulam vaal . 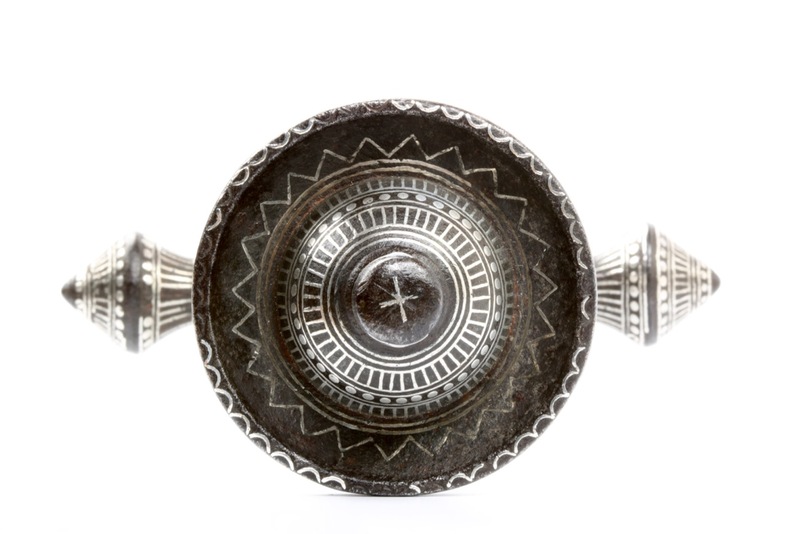 Kayamkulam refers to the medieval Kingdom established in the 11th century and incorporated into Travancore in 1746, after which it became a princely state. Vaal is the local word for double edged sword. It were the armies of Travancore, mostly consisting of Nair, that defeated the Dutch at the Battle of Colachel in 1741, successfully ending Dutch authority over the Malabar coast. 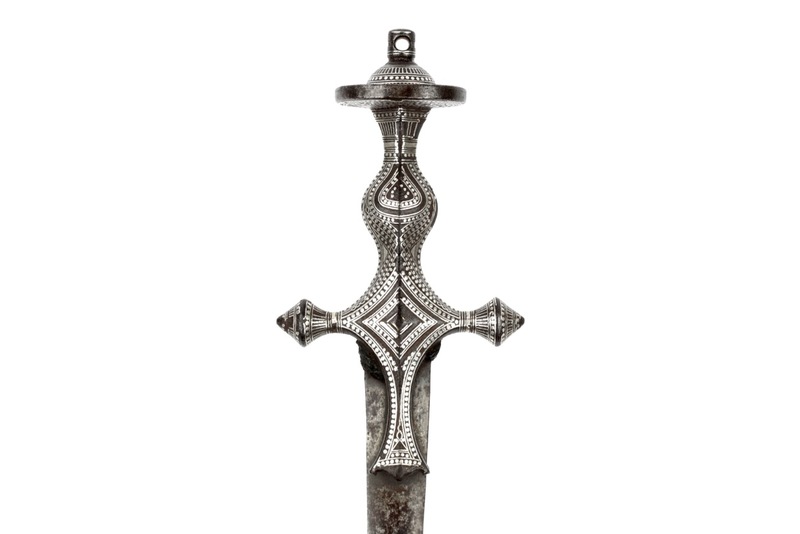 The sword has a long, slender double edged blade. 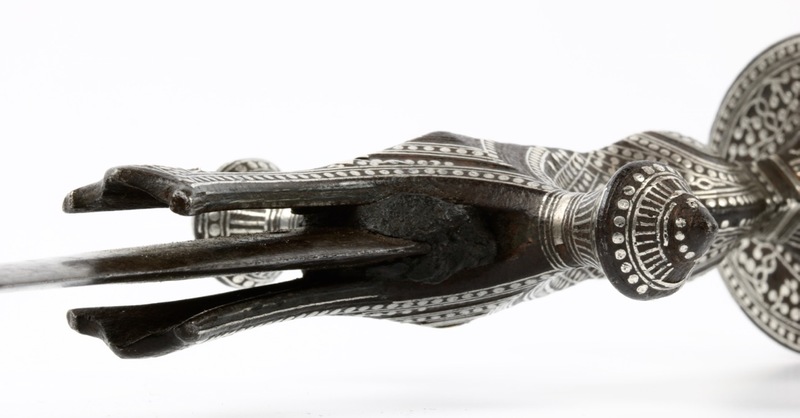 Its springy temper may be indicative of European manufacture, imported European blades often feature on south Indian arms. It bears a mark that vaguely resembles the number 48. 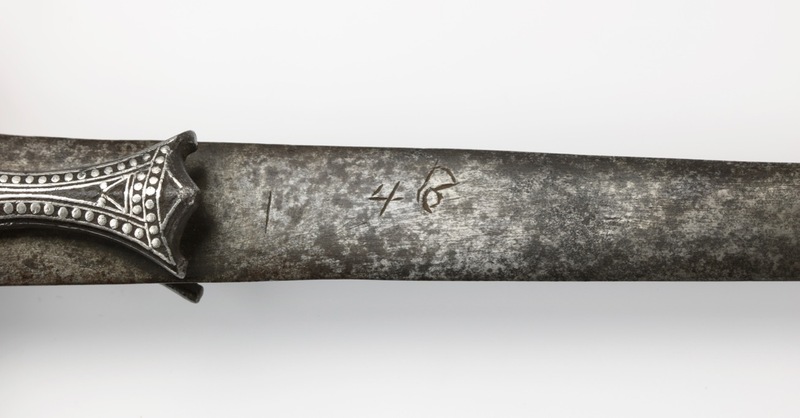 The iron handle of characteristic form with flanged disc pommel. 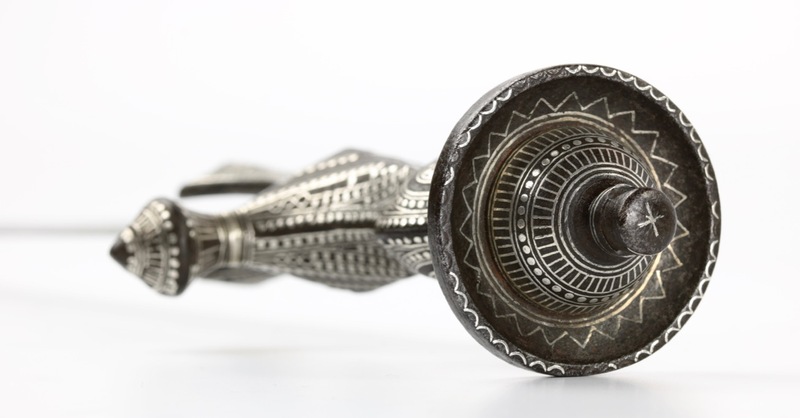 Other typical features of these hilts are the conical protrusions at the crossguard and the cusped ends of the langets. 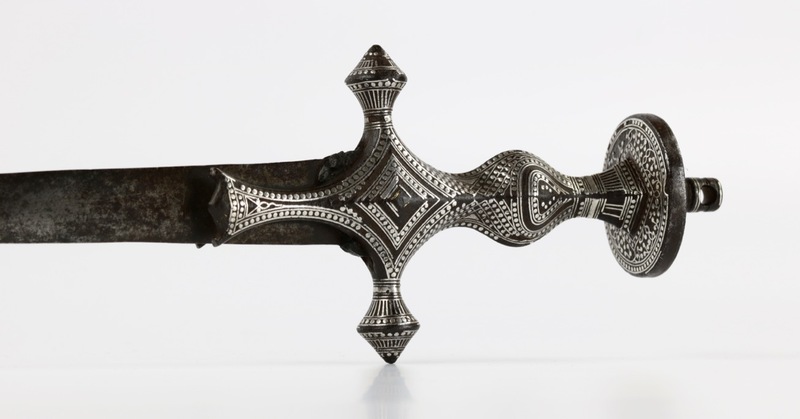 The forged iron hilt is decorated with attractive geometric designs in silver lines and dots, most of which remains intact. 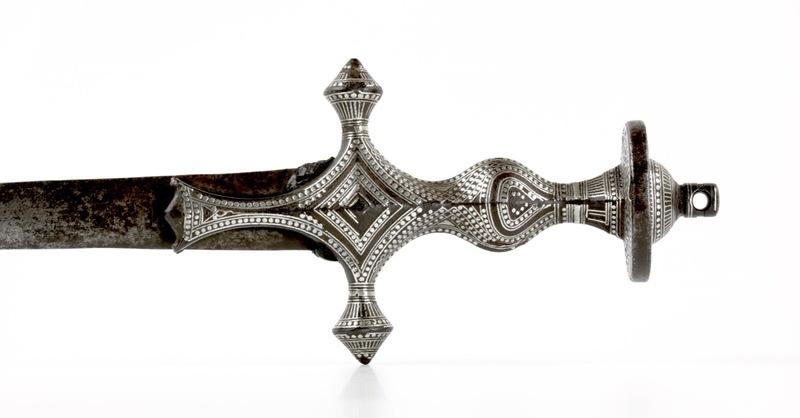 A seldom found Kayamkulam sword from the Malabar coast. 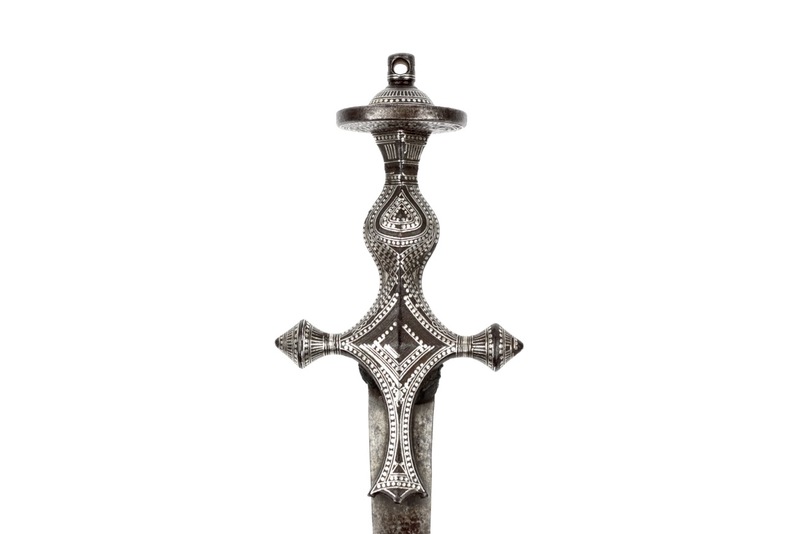 They are rare enough as a type, this one has a beautiful iron hilt with most of the silver decoration still intact.